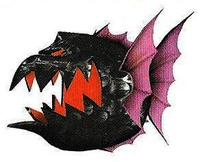 Tar Fish are large piranha-like enemies made of tar in Donkey Kong Jungle Beat. They are only found in two stages: the Peach Kingdom's Arctic Plunge, and the Durian Kingdom's Aerie Fortress. 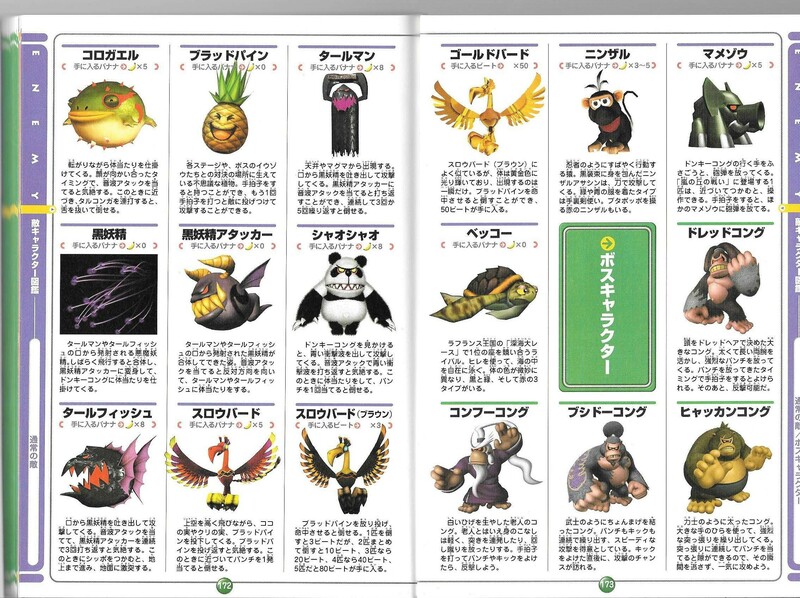 Similar to Tar Men, they sit in place on the opposite side of the screen, waiting for Donkey Kong to be in range, and spit out a group of Black Fairies at him to attack. The player must use the Sound Wave Attack to deflect them back at the Tar Fish several times until it is defeated, causing it to flip upside down. At this point, Donkey Kong can grab onto the Tar Fish’s back while it charges forward, eventually hitting land and disappearing while eight bananas appear. This page was last edited on April 13, 2019, at 16:19.